For Amelia's very first foods we went ahead and purchased the Organic Gerber First Foods in sweet potatoes, carrots, and butternut squash. 1. We were so excited to feed her "real food" the second our pediatrician told us we could. 3. It was super easy, convenient, and we knew it was the perfect serving size and everything. Yesterday, I decided to head to the grocery store, and bust out the Baby Bullet. Another item that I purchased for this expedition was the Beaba Multiportion Freezer Tray. I love that it has the perfect portion sizes for the baby so that I didn't have to guess with ice cube trays. 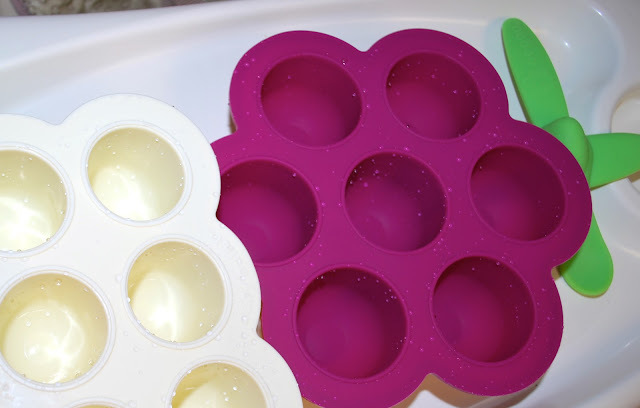 Ice cube trays would be another easy (and cheaper) way to freeze your baby food though! Sweet Potatoes seemed to be Amelia's favorite so far so I decided to whip up a batch of those and a batch of pears. 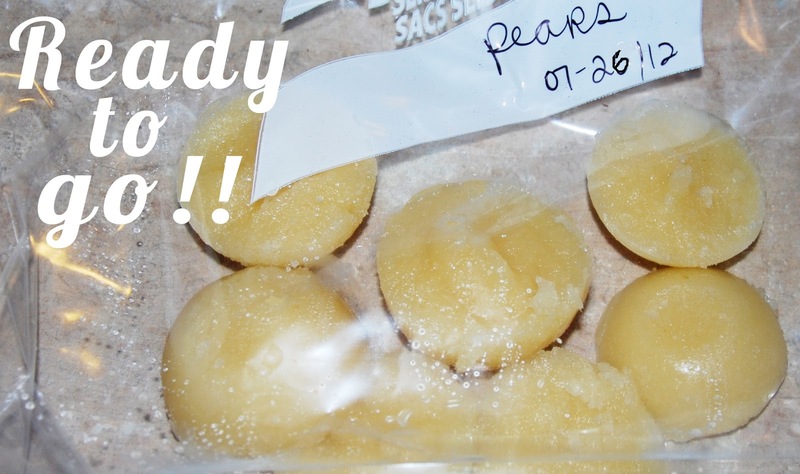 She is ready to start on the "white fruits" next week so I wanted a batch of pears to start her with!! 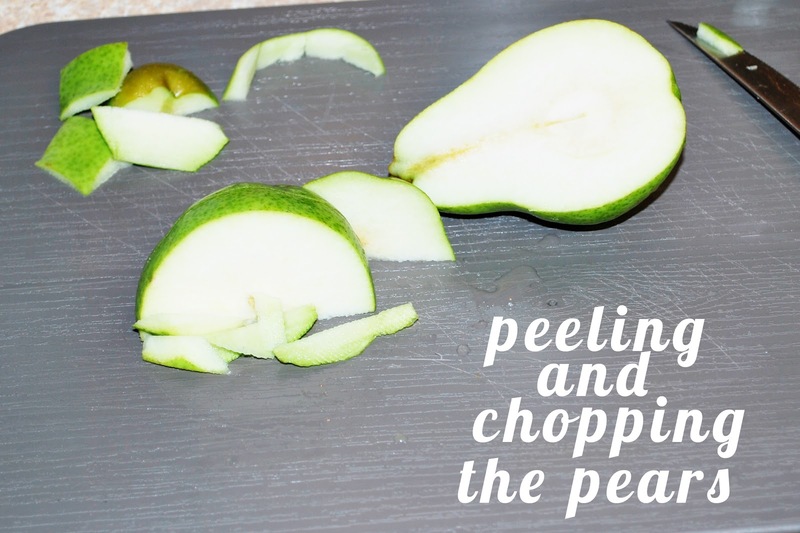 * Chop pears into squares, discarding the peel and core. 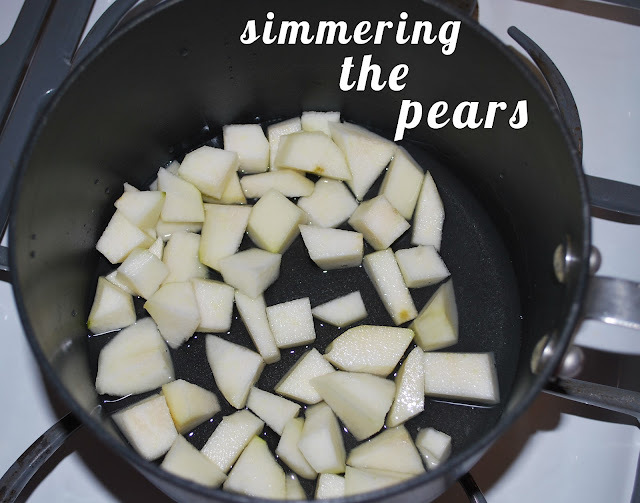 * Once pears are tender, empty all of the contents of pan (including liquid) into your food processor. Puree until smooth. Add water if necessary. 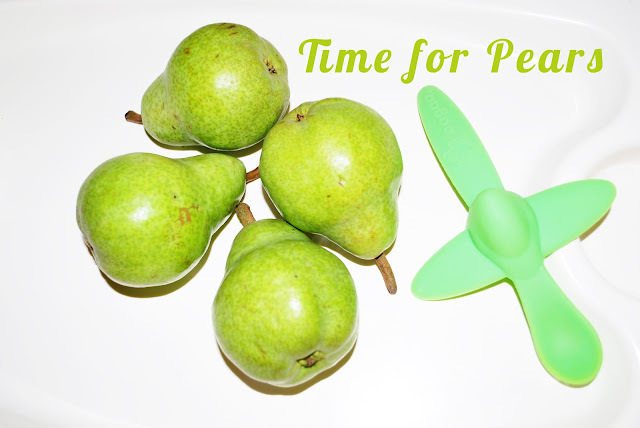 * Pour your pear puree evenly into trays and freeze until solid. 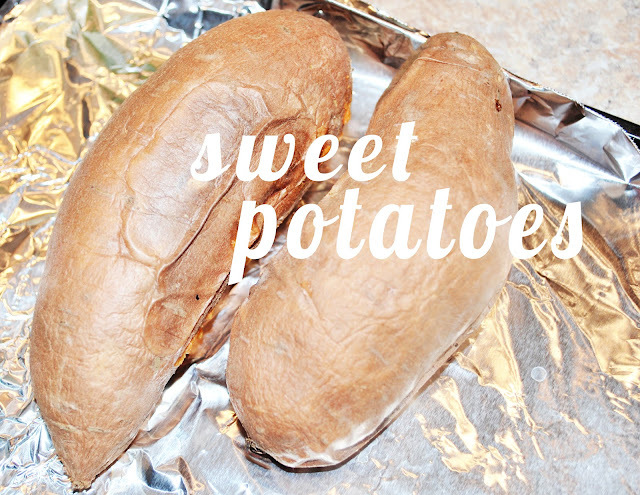 * Place washed sweet potatoes directly on a baking sheet, lined with aluminum foil. * Bake for 45-50 minutes. * Set aside to cool. 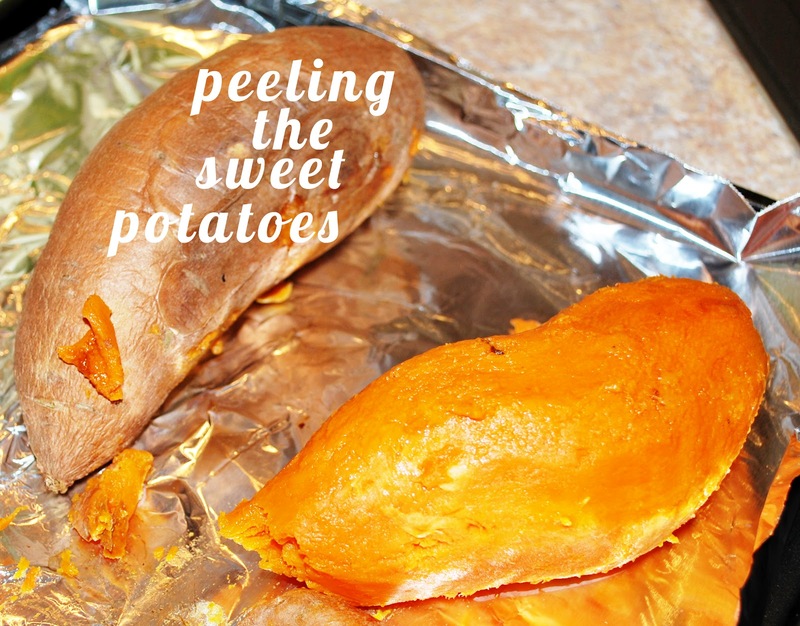 * Once sweet potatoes are cool, peel off skin and cut into large chunks. 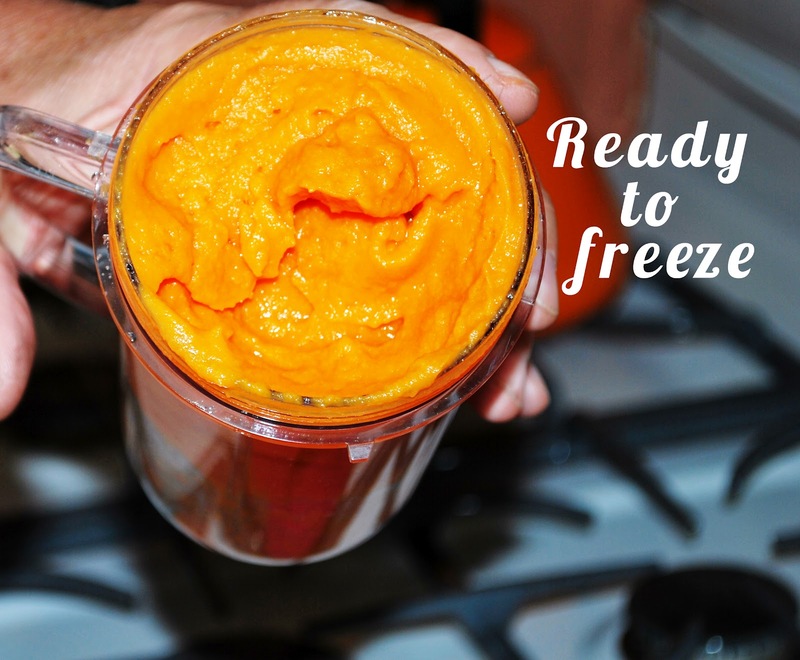 * Place sweet potatoes in your food processor, add water, and puree until completely smooth. * Distribute mixture evenly amongst your freezing tray! This was so easy, and fun and way cheaper then buying your baby's food at the store. We now have two weeks of food and it cost me under $3 for the sweet potatoes and pears :) I am so excited to start her on fruits next week! 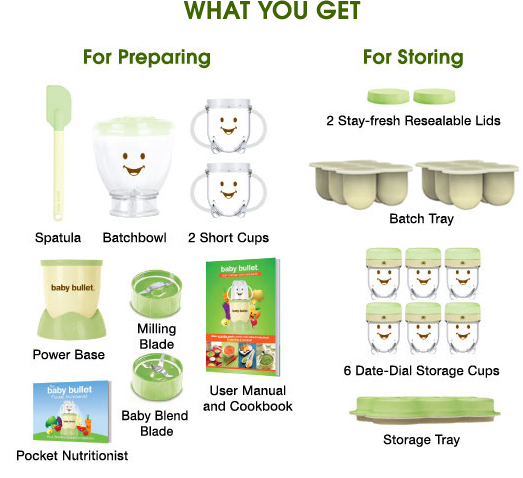 Plus you know what you're feeding your baby! I made our own baby food too, and it was so cheap and easy! I made our own baby food too and it was so cheap and easy! I loved seeing what color the food ended up. So much fun.